County Judge Ed Emmett signed a disaster declaration last week indicating that the sale of all fireworks is banned within Harris County until after the Fourth of July. The ban does not extend to commercial displays and it is a unique ruling for a unique drought. Emmett’s action only restricts sales for 60 hours, but the order will be sent to Governor Perry. Perry authorized similar drought disaster declarations in 108 other counties that last until those counties lift them. All municipalities in Harris County already have such a ban. The move was prompted by a record setting wildfire blazing West of the county and fires such as the small blaze in Huffman last week that raged to a minimum 188 acres and traversed three miles North and South. Fireworks stores agreed not to sell the items within Harris County on their own. Commissioners will vote on extending the countywide ban on burning by 90 days until mid-October. Violators of the fireworks ban face a $1,000 fine and 180 days in jail. Violators of the burn ban face a fine of up to $500 for each violation. Last week firefighters from four counties and 18 different departments battled for three days what started as a roadside fire in Huffman. Texas Forestry Service has battled 22 large fires that have burned 132,750 acres. 225 counties of 254 in Texas have burn bans. The East Aldine District is working with two other local government agencies, to provide replacement septic systems to homeowners in the Westfield Estates subdivision that need to replace their existing systems. Westfield Estates is an older subdivision that is bounded by Aldine Westfield Road on the west, Hopper Road on the north, Hall Bayou and Shady on the east, and Trenton on the south. The agencies that will provide the funding include the Harris County Soil and Water Conservation District, and the Houston-Galveston Area Council. These funds are available free to homeowners and the East Aldine District due to a lawsuit that was settled by a payment to fund this type of environmental improvement. At this time, the exact number of septic systems that can be replaced is not known, but it is expected to be about 10 homes. These will be chosen by reviewing applications that homeowners will submit to the East Aldine District. Forms for this purpose are available at the District office, 5333 Aldine Mail Route. Value of each replacement system could be as much as $30,000 to $60,000 according to Scott Bean of the District. Homeowners will be chosen who meet certain criteria. These are: income qualified (see District for details), and have enough property to support a replacement on-site sanitary sewer facility. In addition, commitments will be made to those who apply earliest, and priority to those over 65, and those who already have paid for a design of a replacement septic system. Additional information and applications are available at the East Aldine District offices. Applicants are urged to reply promplty. AUSTIN — Rep. Walle stood firm in his opposition to the Republican state budget which will make draconian cuts to every level of government and result in the closure of countless schools and nursing homes. During a legislative session dominated by divisive issues, Rep. Armando Walle (D-Houston) earned bi-partisan support for several measures, including items to protect consumers, improve access to nutrition benefits, and keep students in classrooms. Rep. Walle made improving quality of life one of his top priorities. He filed House Bill 190 in an effort to bring a noise ordinance to Harris county. “It’s important that the state legislature begin to talk about allowing residents of our county to be protected from loud noise, and I was proud further the conversation,” said Rep. Walle. Additionally, Rep. Walle passed a measure to protect water ratepayers by requiring water utility companies to inform their customers of the reasons for a rate increase. In the midst of an enormous deficit, Rep. Walle passed a key piece of legislation that will save the state millions of dollars. House Bill 710 allows the Health and Human Services Commission to use more appropriate technology in detecting fraud, which will save money ultimately allowing more of the budget to be appropriated by the legislature to other causes. “We need all the money we can get to go straight towards protecting our schools and providing our students with the best education we can give them,” explained Rep. Walle. Rep. Walle also passed measures to reduce the criminalization of our students and keep them in school. House Bill 350 will allow fines associated with Class C tickets issued on school campuses to be discharged though tutoring in the same manner as community service. “Keeping our students in the schoolhouse and out of the jailhouse should be one of our first steps in reducing the dropout rate,” said Rep. Walle. During the June 13 Aldine ISD Trustees meeting, President Rose Avalos announced that Dr. Wanda Bamberg had been named the Region 4 Superintendent of the Year. Aldine ISD’s Trustees nominated Dr. Bamberg for this prestigious award. Dr. Bamberg competed against other superintendents from throughout Region 4, which includes 54 schools districts from the greater Houston area. 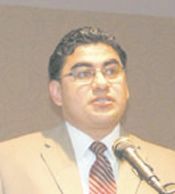 All of the superintendents who were nominated had to submit applications that focused on a number of areas including administration and school climate, school board-superintendent relations, school improvement, fiscal management, facilities management, instructional management, student management, personnel management, and school-community relations. Administrators (TASA)/Texas Association of School Boards (TASB) annual convention, scheduled Sept. 30-Oct. 2, at the Austin Convention Center. 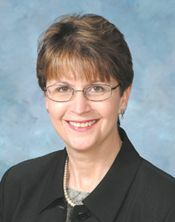 The announcement will be made during the Second General Session, set for Saturday, Oct. 1 at 10:30 a.m.
Dr. Bamberg is currently serving her fourth year as superintendent and will enter her fifth year as superintendent when the 2011-12 school year begins on Aug. 22. Dr. Bamberg is the third Aldine ISD superintendent to be named Region 4 Superintendent of the Year. Former Superintendent Nadine Kujawa earned the honor in 2006 and former Superintendent M.B. “Sonny” Donaldson earned the honor in 1994 and 1995. 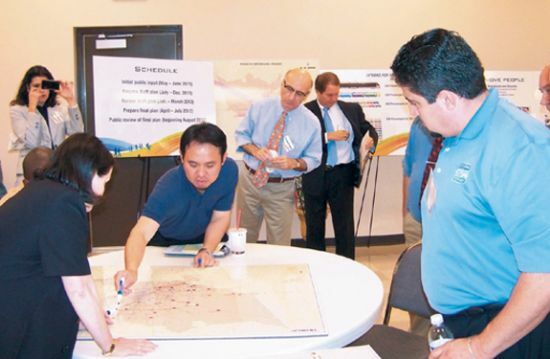 EAST ALDINE– The transit authority METRO held a workshop last Thursday evening at the East Aldine offices, to interact with the public and get ideas for how their services might be more useful to riders and potential riders. This meeting was one of 24 that have been scheduled around the city the last few months, prior to METRO finalizing a “VISION” for the plans for the future. This is leading up to a draft plan for the agency’s future, which will be prepared in the next six months. The purpose of the meetings was to learn where service is needed, and how existing service can be modified or expanded for better service. The meeting was started with remarks from board member Allen Watson, and a presentation of the overall transit needs and METRO services, by CEO George Greanias. He explained the growth patterns in the region, and the multitude of modes that METRO provides to meet transit needs. He explained that for Houston to be a World Class City, it must have coordinated planning of Good Education, Economic Opportunities, and Reliable and Efficient Transportation. After that, groups of public and staff met in smaller planning groups, do discuss needs and draw route plans with markers on city transit maps. The staff kept track of suggestions on a large display easel. An interactive electronic map was not working, but is available online at www.ridemetro.org. 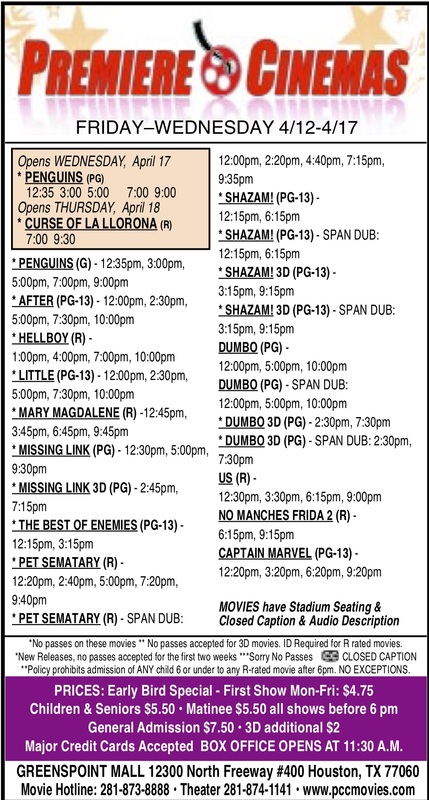 Additional suggestions can also be submitted by email to metrovision @ridemetro.org. Among the comments that Greanias and the staff heard, were the need for more bus lines that went directly to employment centers; routes that were two-way, not circuits; expansion of “Signature or Express” service lines; cooperative transit center in the new East Aldine Town Center in the planning stage; bus service to the new industries that have been built on JFK Boulevard; more direct access to JFK airport, Humble and Greenspoint for employment needs. Several workshops remain to be held. The next one in our area will be June 14 at Acres Homes Multi-Service Center, and then June 28 at the Humble Civic Center. May 27th, 2011––The District’s has been awarded $115,000 in Harris County Community Services – Community Development Block Grant funds toward its Raymac Park Project. These funds along with the $200,000 in Texas Parks and Wildlife grant funds and $50,000 in District funds will bring the budget for the park to $365,000. The design for the park has been completed and construction on the project will begin in 2011. Additionally, the District was awarded $150,000 from the Houston-Galveston Area Council to complete a Livable Centers Study. These funds along with $34,500 in District funds will bring the project budget to $184,500. The study will be completed in partnership with the Harris County Community Services Department. The objective of the planning study is to help create quality, walkable, mixed-use places, create multi-modal travel choices, improve environmental quality, and promote economic development and housing choices within the Airline Improvement District. When the study is completed, it will have identified and estimated the cost of proposed projects for the District’s consideration. There will be a public component of the study whereby meetings will be held and ideas from the community will be discussed. The District’s Graffiti Abatement Program continues to be a success as more than 1,446 sites have been abated since its inception. As a reminder, the abatement crew can color match, paint or power wash graffiti that is reported within the boundaries of the District. WASHINGTON– Congressman Gene Green and other Texas Democrats have filed suit in Austin to oppose the GOP-drawn redistricting map. The issue has been added to the Legislature’s Special Session by Governor Perry. “The congressional redistricting map unveiled yesterday by Republicans in the state legislature is the clearest example of Republicans’ deliberate attempts to dilute Hispanic and African-American representation in Texas. Despite the fact that Texas’s minority population has grown substantially over the past decade, becoming the state’s majority population, the Republican proposed map suppresses their influence. “While nearly 90 percent of Texas’s growth over the last decade was due to population growth among Hispanics, African-American, and Asians, state Republicans allocate no additional seats where these Texans have the ability to influence the outcome of an election. These efforts by Republicans are nothing more than a concerted attempt to deny every Texan the power of one person one vote over the next decade. This is retrogression, plain and simple. This deliberate attempt to silence the voices of such a large segment of our population is contrary to our American ideals, and should be resoundingly rejected by all Texans. HOUSTON – On May 31, 2011, Sheriff Adrian Garcia and deputies at the Harris County Sheriff’s Office (HCSO) Aldine Storefront distributed computers to 20 deserving families in the Aldine area. The computers, which would have otherwise been thrown away, were refurbished and donated by DeVry University. 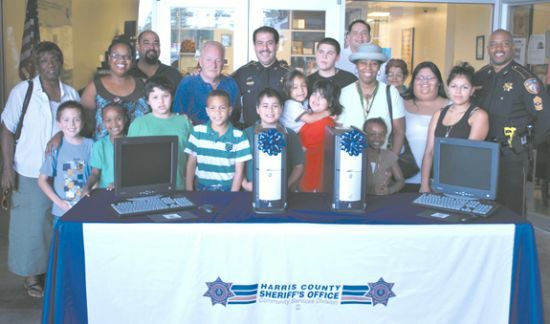 The presentation of the computers was held at the HCSO Aldine Storefront located at 5202 Aldine Mail Route in northeast Harris County. “I hope you use these computers to do your homework and school projects and not for playing video games,” said Sheriff Garcia to the children receiving the computers. He also urged the parents and guardians to keep a close eye on what their kids browse on the internet and who they chat with. Many of the families are headed by grandparents raising their grandchildren. “These kids know a whole lot more about computers than I ever will,” said one of the recipients. “I am grateful and honored for these computers because I certainly couldn’t afford to buy one,” she added. A big thank you to DeVry for the donation, to Sgt. Dean Earl for finding the deserving families to share these gifts with, and to the HCSO’s Aldine Storefront deputies for organizing today’s event.